Jon Danzig's World: The EU: Should we stay or go? The EU: Should we stay or go? The UK pays €7 billion into the EU, and Poland gets €11 billion out of the EU. How is that fair? We need to look at this with wider horizons. UK exports to the European Union were worth €12 billion in September alone. We gain much more from membership of the European Union than it costs us. The issue of Poland and other ex-Communist countries is more complex. 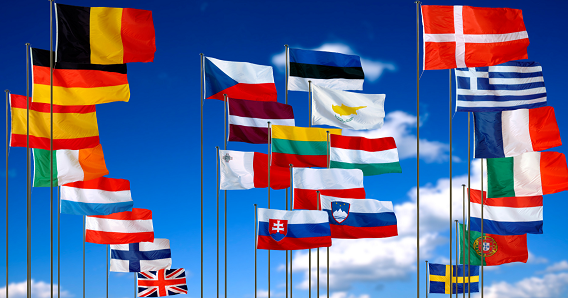 In time these countries will be rich again and will become net contributors to the EU budget. Currently they need a helping hand but it’s temporary. In the future, our young people will be going to work in Poland instead of the other way round – because it works both ways. Already many of our UK businesses are expanding and prospering in Poland. We owe a huge debt to the Polish. It’s doubtful we could have won the Battle of Britain without their brave pilots fighting with the RAF. During the Second World War, Poland lost almost 6 million citizens, over 16 per cent of their population. Then, rather than being freed from the tyranny of Nazism, they were instead consumed by Communism. It’s essential we keep them within the European Union rather than go back to something like the Soviet Union – or worse, a fragmented Europe that resolves its differences through war. The European Union is a great antidote to war. It also facilitates prosperous trading through its original mandate – the free movement of people, products and capital across all of Europe. Let’s reform the EU rather than abandon it. Surely we can still trade and export to the EU without having to be bound by the rules of the EU club? The EU dictates how we live in the UK, which is completely unacceptable. For example, the recent case of Abu Qatada who couldn't be extradited because of EU human rights laws. And actually I am really sick of hearing that ‘we owe other countries a huge debt'. The United Kingdom should now concentrate on repairing our own problems without having to help out others in Europe. Why should we? Well you express a point of view that seems to be quite popular right now. If there is a referendum, I hope there will be an opportunity for full debate so we can air all these concerns and think deeply and carefully before leaving the EU. There is a lot wrong with the EU, but I feel our place belongs in Europe and we should try to amend the club, rather than leave it. I believe that we are more prosperous, and safer, being in the EU than we would be outside of it. And hundreds of thousands of Brits already work in other parts of the EU; it would be disastrous to them and to our economy if they all had to come home. I also don't think that helping the ex-communist countries to be successful again will cost us our prosperity; by building the wealth of Europe we will all benefit hugely. PS The ruling that Abu Qatada could not be deported to a country where he may be tortured had nothing to do with the European Union. Yes, the anti-EU sentiment in the UK is very popular now; maybe we will leave, I certainly hope so. Yes, your argument may win. But we need a fuller debate; and minds can change, especially when Europe becomes prosperous again, as I believe it will. The EU is the planet’s largest economy, and our biggest trading partner. I think it could damage us tremendously if we were to wrench ourselves away from the club, with all the upheaval, expense and bad feelings that would cause. If there's a referendum, I would vote to stay a member. But my mind is not fixed; that’s how I feel today, based on everything I have read so far. I would urge all citizens to take a balanced view, carefully read both sides of the argument with respect and a genuine open mind, and be prepared to change minds. With new evidence and superior arguments, I could change my mind. This subject is too important to become overly partisan; if we get this decision wrong, it could adversely affect the country for at least 100 years. So answer me this: how is it fair that the UK is one of the biggest contributors to the EU budget, whereas other countries such as Poland don’t have to pay anything, in fact they get money from us! "Germany, as the biggest economy, is also the biggest contributor, Poland is the biggest receiver. The UK contributes much more than it receives too, about €4.7bn more. Why the gap? The UK is a rich country and the EU points out that although it spends less in the UK than the national contribution, the British economy gains much more from access to European markets and contracts." I agree that we have to put this argument to the test. It's either true or not. I want us to trade with Europe, but I don’t want us to lose our wealth and health by giving other countries a free ride to prosperity. My belief is that if you want to succeed in life, pull yourself up by your own boot straps, and don’t expect something for nothing. It seems you want the UK to trade with Europe but without being a member the Europe club. If we leave, our trade with Europe will go down; and trading will be more expensive. The EU permits free trade among members without barriers; outside of the EU club, UK businesses will find it much harder and more expensive. Membership gives us much more than the cost of the membership fee... In addition, the EU has prevented its members going to war, a real possibility if there hadn't been the establishment of the Union. All this needs to be more widely debated and understood before we resign our membership. We can surely trade with Europe without having to be members of the expensive EU club. I just don’t believe it’s a case of being in our out! In any case, what barriers to trade are you talking about? The EU: What's in it for UK citizens? And by the way, if we need temporary help or rescuing such as Poland does now, who will come to our aid if we're out of the club and a lone island in the world? The European Union has provided development funds to the UK... it works both ways. We're safer in than out. I read the article in the Daily Telegraph by the Conservative MEP and prominent Euro-sceptic, Daniel Hannan. It’s a myth that we can ‘freely trade’ with the EU simply by leaving and becoming a member of EFTA. There is no such thing as ‘free trade’. This is something a lot of Euro-sceptics often either don’t know or don’t say: For the privilege of trading with the EU, EFTA members such as Norway and Switzerland have to make huge contributions to the EU budget proportionate to their economies. Also, they have to implement EU single market legislation, including the social policies often disliked in the UK. Yet despite having to pay towards the EU budget and having to adopt EU law, EFTA countries have no vote in the policies, vision, direction, rules and laws of the EU. Is that really want we want for the UK? But you are only looking at this from one direction, think outside the box, everything is always malleable to change and this is no exception. If enough countries decided to pull out of what is a group of people holding countries to ransom and being dictatorial, then the 'rules' would have to change. What about this trade thing. USA is not part of the EU but they still trade with them, therefore you don't have to be an EU member to trade, what an extortionist idea. The EU and the US enjoy the most integrated economic relationship in the world. Total investment by the USA into the European Union is three times higher than in all of Asia. EU investment in the US is around eight times the amount of EU investment in India and China together. If we leave the European Union, we also leave behind the special trading relationship between the EU and the USA; of course that relationship is governed by rules and conventions to help that enormous trade. Do you think that little Britain on its own could negotiate such favourable trading deals with the USA as it can as a member of the European Union? I don’t think so. To win hugely complimentary trading deals with the USA means you have to be as big, or bigger, than the US. The EU is the planet’s largest economy. We’re just a tiny island. Is JonDazig by any chance an employer of cheap foreign labour? mcorinth, attacking your opponents instead of attacking their arguments is hardly the way to win people over to your view. When people have to resort to ‘argumentum ad hominem’ it usually means they've run out of useful things to say, which is a shame. I believe people need to listen carefully to both sides of the argument about UK’s membership of Europe. That also means keeping an open mind and showing respect. (And no, I’m not an employer; my interest is to discuss and ensure the best future for Britain). France needs to trade with the UK as much as the UK needs france. Switzerland pays a tiny % of what Sweden and the UK have to pay to Brussells and they do not have to follow 90% of the rules at all, so quit lying. Switzerland follow 2 out of every 7 directives from the EU so they follow about 30% of EU laws, and this helps Switzerland avoid being ripped off by poorer EU nations. The EU is about power and corruption it is about nothing else. Jacotruth - It’s unfitting to accuse me of lying, and not the way to win people to your argument. I seek truth. My mind is not fixed; based on everything I have read so far, I would vote to stay in the EU. With new evidence and superior arguments, however, I could change my mind. This subject is too important to be overly partisan; if we get this decision wrong, it could adversely affect the country for at least 100 years. If anyone has other Typical UK Anti-EU Comments they’d like me to consider, please post a comment below or drop me a line to JonDanzig at aol.com. This blog will be a work-in-progress until we know for sure if there will be an in-out referendum for the UK’s membership of the UK. These EU workers are taking our jobs, taking housing that we need. Putting a strain on our services. Even schools are being expanded to take more EU children. But the most important thing is, we the British public have had enough. It's time to leave the EU and tell all these Europeans in this country it's time for all of you to go home. So, ‘Worried Citizen’, what do you propose should happen to the many hundreds of thousands of British people who are working, living, studying or retired in France, Germany, Italy, Spain, Poland, Slovakia, Denmark and all the other countries of the European Union? British people are able to freely work, live, study and retire in all the European Union countries as a result of the exact same EU rules that allow other European nationals to come and work, live, study and retire in the UK. It works both ways. Do you want to see those British people in other EU countries lose their jobs, residences, education and retirement homes, in the same way that you want to see French, German, Polish, Slovak, Czech, and other EU nationals living in the UK sent back home? We surely need to think carefully before dismantling the EU community. @worried citizen: What about the 2 million UK citizens living in other EU countries "taking" their jobs and "putting a strain" on their services? If you think it's bad now what about having hundreds of thousands of British retirees move back from Spain to strain the NHS? Or hundreds of thousands of (now unemployed) British professionals who can no longer work in the EU being added to jobless queues here? I'm glad some-one somewhere is collating and engaging with this, it's good to read. Personally, I think we fare far better, working with others than against of away from them, this simply stands to reason. Also "Worried Citizen", they are home, they're Europeans, like you and I. The stark choice is pretty much, the EU or replaying the worse aspects of the 20th Century in Europe. It's by no means perfect, Germany for instance has no minimum wage, as we understand it in the UK, where sadly it is not a living wage, this alone is an issue worth tackling with German, as a member of the EU as the benefits to simply our two nations are potentially immense. Reforms and Debate based on evidence and decency are always better than wars, conflicts and separatism. We have one planet to deal with, and European lifestyles are going to have to be scaled back in the near-future (50 years) and arguing about working together or not isn't exactly reducing the amount of hot air. If EFTA is so bad, why are Norway and Switzerland in it? Is it simply down to Norwegian oil and Swiss... I don't know, choclate? Norway, Switzerland and Iceland are the only ones left in EFTA. Yet despite having to pay towards the EU budget and having to adopt EU law, EFTA countries have no vote in the policies, vision, direction, rules and laws of the EU. Is that really want we want for the UK? I cannot agree with you completely. Poland have received about 6,5 bln Euro per year(in years 2007-2013) more than paid into EU budget. According to a NBP(Polish Central Bank) polish emigrants have transfered to Poland about 4,07 bln Euro in a year(2013). Its is obviously a lot of money. There is one more thing which should be taken into consideration - in the first QUARTER 2014 companies from EEA have transfered out 12,782 bln Euro and in a whole 2013 - 41,772 bln Euro. So there is a question who is bigger beneficiary in this case.